The Green Meadows we will be crossing in the trek. Campsites we will spend our nights at. If you are a group of 10 , I will try to provide some discounts. I don't compromise with quality so please do not ask for discounts, I have already listed the best price. Meals while on trek (Veg) from day 2nd Breakfast to day 6th breakfast. 1 Night stay in Kasol on sharing basis. Basic First Aid Medical kits . Any surface transfer during the program. Food in kasol as most people eat outside on restaurant. 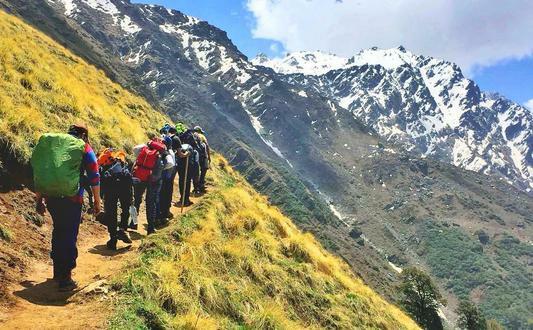 Sar Pass Trek an ideal trek for beginners through thick forests, alpine meadows and Himalayan villages which will take you to an altitude of 13,800 ft and offers an amazing views of snow clad peaks. The Sar Pass Trek starts from Kasol which is famous among the backpackers. Kasol is also a starting point for many treks in the Parvati Valley like Tosh Valley Trek, Animal Pass Trek, Sara Umga Pass Trek and many more. Everyday departure from 15 May 2019 to June 24 2019. Day 2: Kasol trek to Grahan Village ( 10 kms , 5-6 hrs). Day 3: Trek from Grahan Village to Min Thach (7 kms, 5 hrs). Day 4: Trek from Min Thach to Nagaru (8 kms, 7 hrs ). Day 5: Trek from Nagaru to Sar Pass and Biskeri Thach (14 kms 7 hrs). Day 6: Trek from Biskeri Thach to Barshaini & drive back to Kasol ( 10 kms, 4-5 hrs & 1 hr drive to Kasol ). You can catch bus for Delhi that evening. We help to arrange. Go back with smiles and memories. 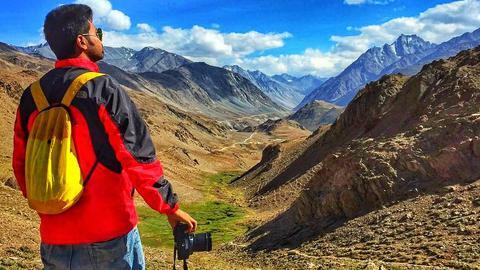 I am a Nomad living in Himalayas, during summer and when you book trek with me, you are helping me to sustain my living on road , rather than helping a big company boss own a new car. If you want friendlier environment and more personal touch to treks, always choose independent guide like me.